Strapend attachment for EX04 strapends (engraved plates), England, 14-15 c. Dress Acsessories (London's Archeology). 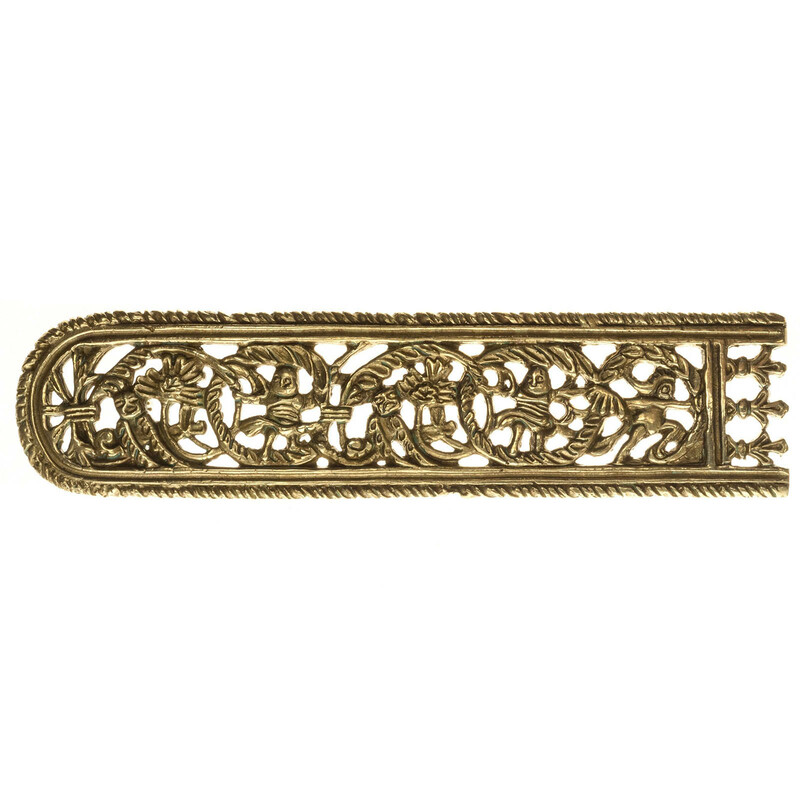 Strapend attachment consists of strapend itself and of decorative brass plates to attach the strapend onto belt strap. Strapend attachment goes as a whole item just as you see on the picture and can not be sold in parts. For strap width 30 mm Important: Most cast items are not in stock and will be produced exactly for you in 10 days term. Gilted Items could be in production up to 20 days. ..
Belt strapend, England, late 14 -early 15th c., Dress Acsessories 99 (London's Archeology). Size 32 x 15 mm. For 15-17 mm strap Important: Most cast items are not in stock and will be produced exactly for you in 10 days term. 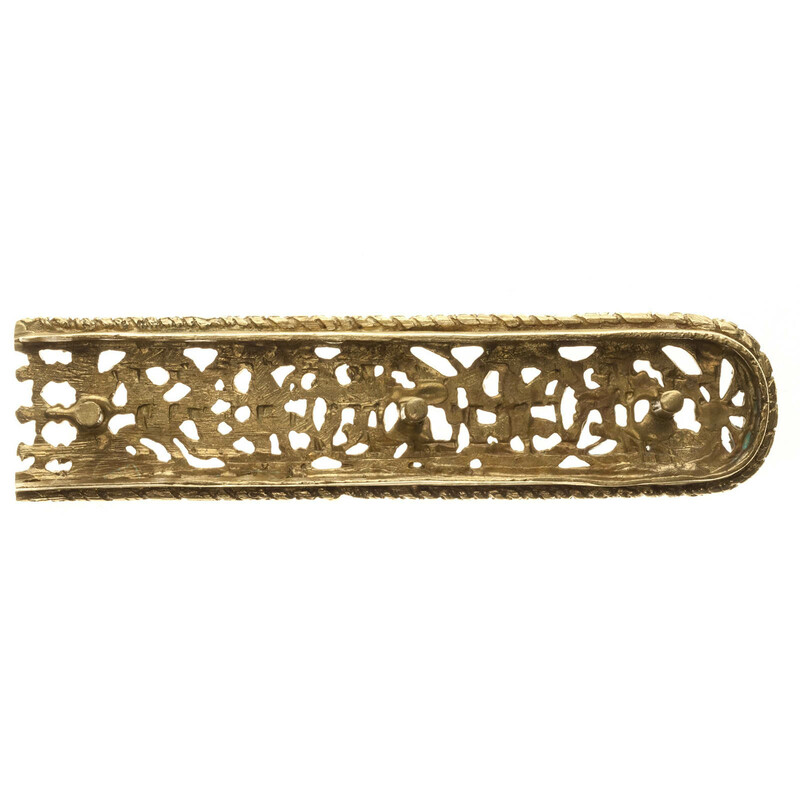 Gilted Items could be in production up to 20 days ..
Stylized strapend, 14-15 century. For strap 30 mm Important: Most cast items are not in stock and will be produced exactly for you in 10 days term. Gilted Items could be in production up to 20 days. ..
Netherlands end of 15th century 30mm width..